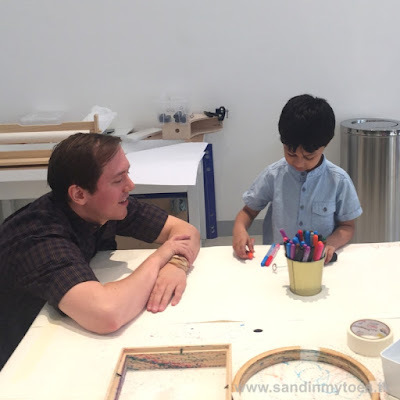 Having been in Dubai for so many years, I've seen how kids are positively spoilt for choice when it comes to activities and play areas. But something about OliOli intrigued me when I first heard about it. 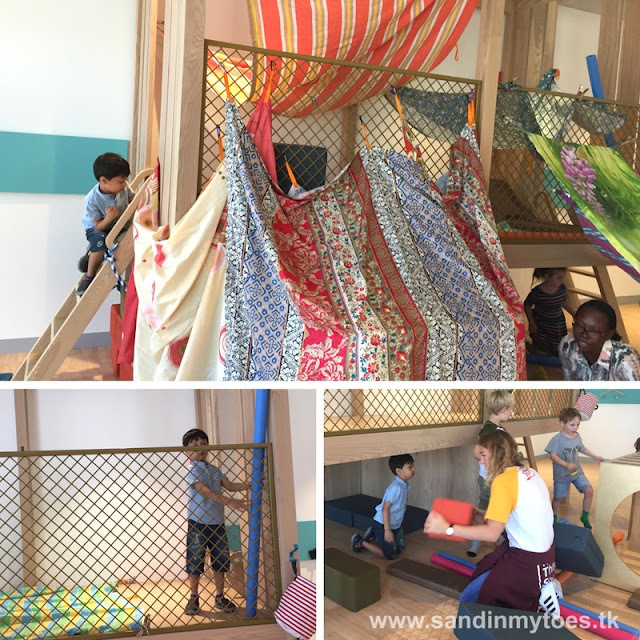 The founders call it a 'play museum', where children are free to play and discover as they like. So, it was with no clear expectations that we first visited OliOli for a preview. 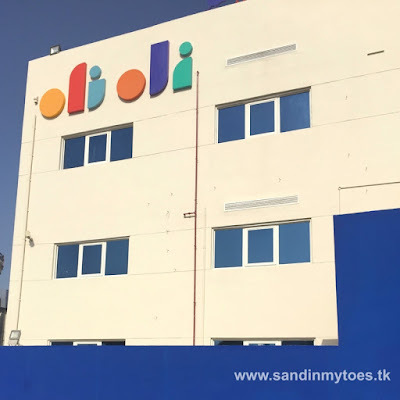 Located in Al Quoz, just behind Oasis Center Dubai, the building looked huge. That only made us more curious to the wonders inside. And we were not disappointed. OliOli has eight different galleries. Each gallery is very spacious. You don't get that feeling of too much being crammed into one place. You can breathe easy and allow your children to freely and explore as their interests allow them. Without sounding too mystical, let me share our first impressions of OliOli, and exactly what we did there. At the reception itself, there's a fun interactive display. 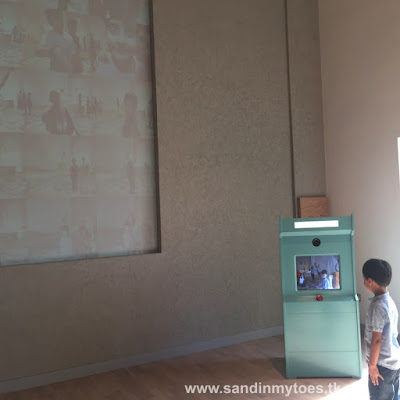 A camera records short videos from a kiosk and it is played on the wall next to it, as part of a collage. This kept us entertained for at least 10 minutes before even venturing in! The first gallery is about the exploration of air. Children can 'see' air in action through many interactive experiments and displays. The most fascinating of it all is the maze of air pipes in which you can watch coloured parachutes move around. Every display was interactive, but the simple experiments were engaging enough to keep my son's attention for a long time. But, of course, there is so much more to explore. This gallery will probably make you gasp at the visual cornucopia of colourful threads. Once the kids get in the nets, they can be hard to find, but be assured that they're having a wonderful time! The story behind this installation is amazing, The nets have been knit by hand by a Japanese textile artist who took a year to make it. So, you can understand what makes these nets so special. This lab was quite hands-on. Little Dude instantly took to making a scribble bot with simple tools. Kids can also make sculptures with wooden poles here, and new activities will be added every now and then. The scribble bot was the winner for my son though, and he was happy to bring his mechanically created artwork home with him. This gallery is fascinating, to say the least. 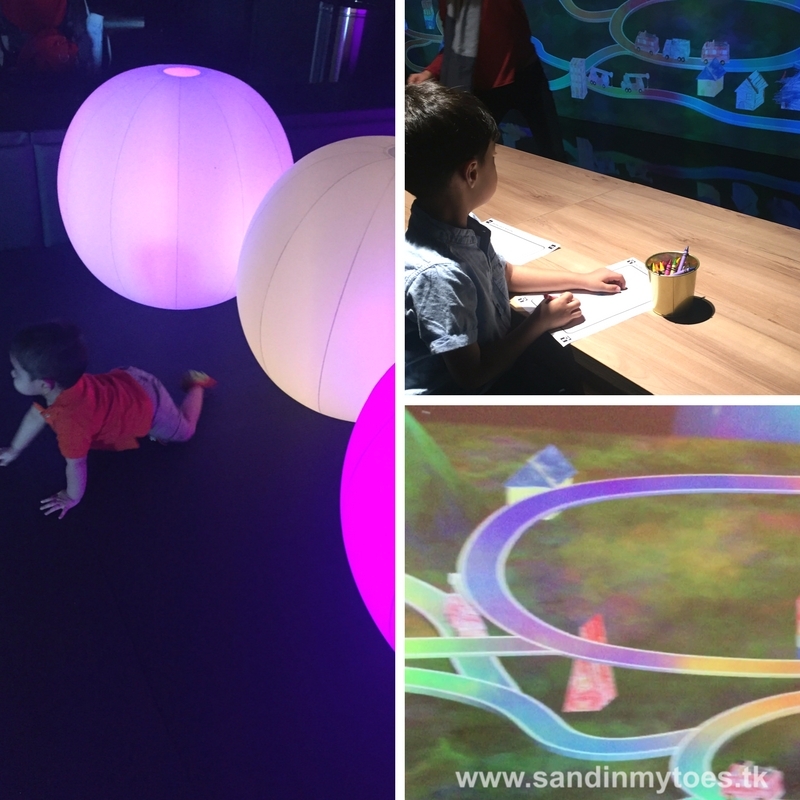 On one end, kids can play with neon orbs in this darkened space. Across the gallery are screens projecting drawings and sketches made by the kids. I loved the idea of combining technology and creativity. Little Dude drew a rocket and then uploaded it on to the screen. Moreover, he could interact with the screen by touching it, which made it even more fun. 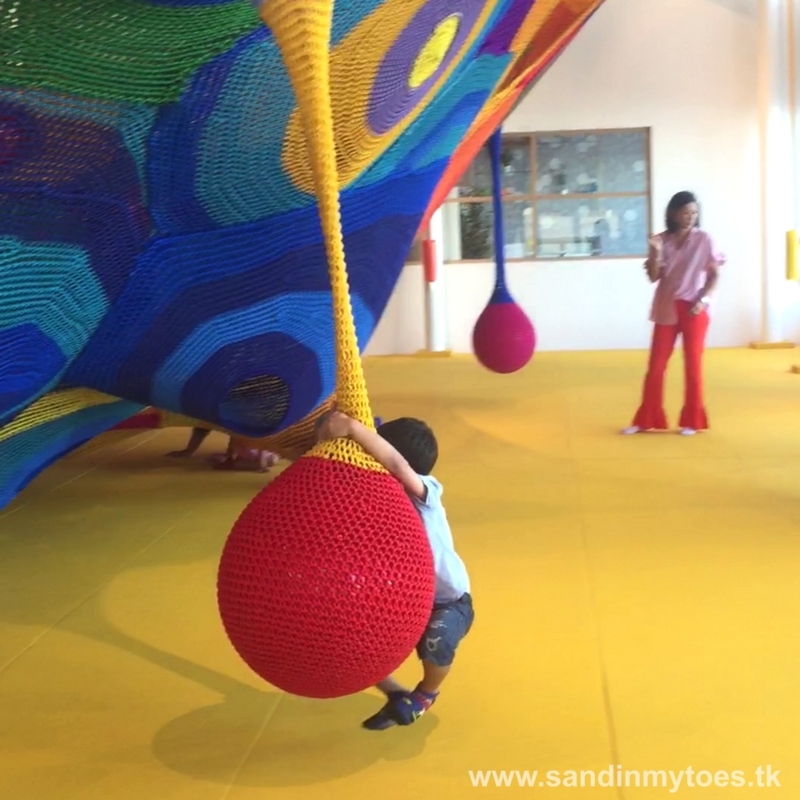 In this gallery, kids can put their gross motor skills to full use. The wooden structures (mimicking tree houses) are perfect for building forts and dens and whatnot. The materials are all their for them to peruse. Using fabric, clips, and ropes, building a fort becomes a great exercise in teamwork and of course, creative play. I didn't expect that my little one would have much to do at OilOli. He just turned a year old, and at present is happy cruising on all fours. I'm glad to say I was wrong! 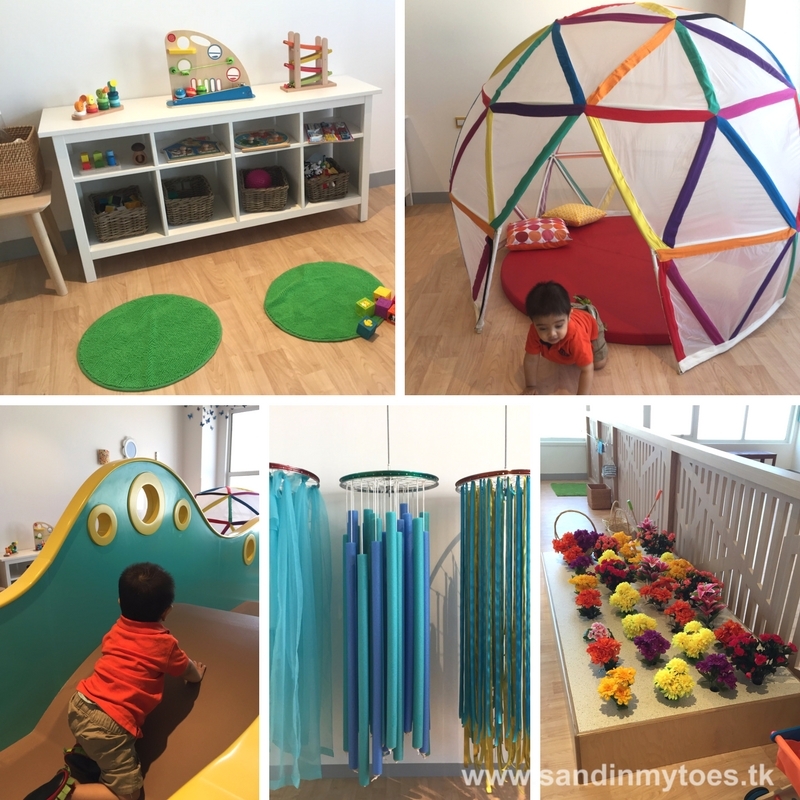 The toddlers area is filled with sensory play materials, Montessori skill building activities, and educational toys. There's even a climbing structure for babies and toddlers to enjoy. I loved this area so much because of the attention to detail given to every item here. Lego lovers will love this gallery. Now, Little Dude is a major fan of Lego and cars so this place was heaven to him. 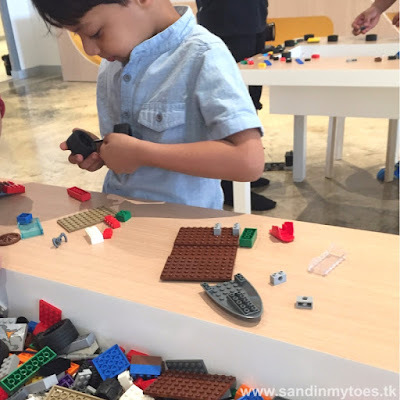 Kids can build their Lego cars here and test them on huge ramps. Thew ramps have been built impressively with obstacles, hoops, and curves. It was truly a delight to watch the kids' creations run on these ramps. Get your raincoats on for this one! Anyone who has kids knows how much they love playing in water. 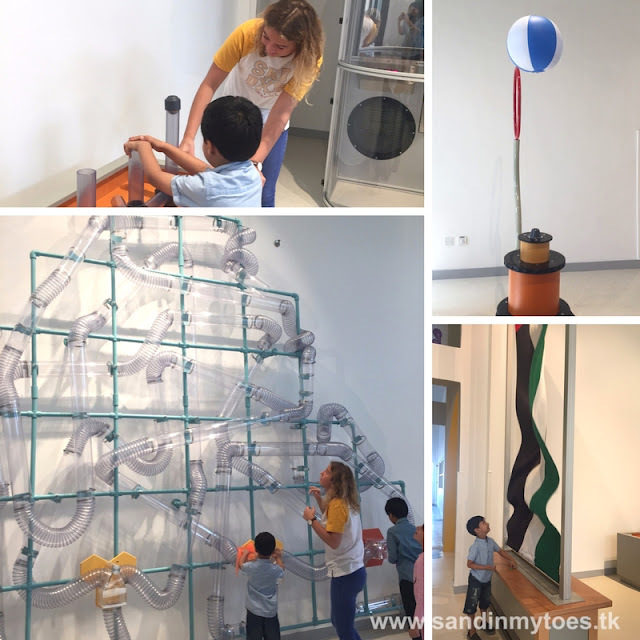 Well, in this gallery, they can play with water to their heart's content, and there's so much to do and learn. From floating balls to connecting pipes, and filling buckets - the activities are engaging to the curious mind. They can even make it rain in one section. What I found most creative is that there's a vintage car they van actually wash. Don't worry though, aprons are provided for the kids here. Here's a snapshot of what Little Dude thought about OliOli on his first visit! What else do you need to know about OliOli? 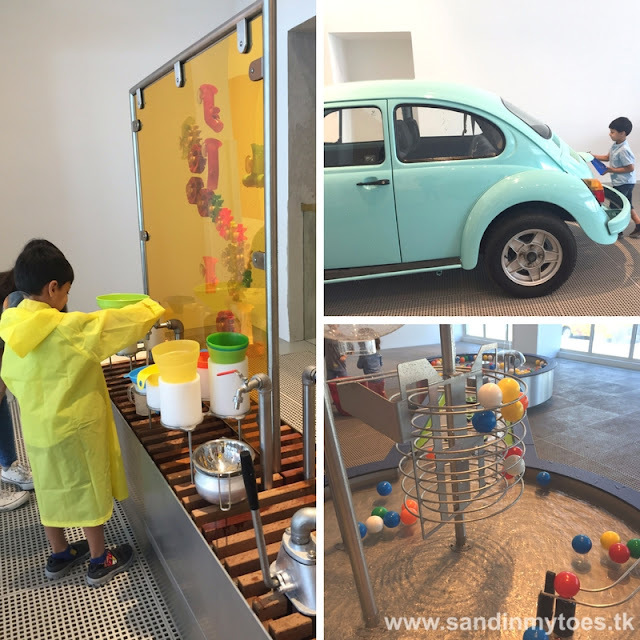 The play museum opened last month, but it is so much more. It's a play space, a learning center, a workshop, and I feel it will evolve into much more than this, considering the dedication of it's owners who worked for two years to make this dream project come to life. There is a lovely cafe serving healthy food and beverages. The kids will have attendants help them if need be, but ideally parents should accompany, of not just to take part in the fun! The galleries are spread over two levels. A baby changing and feeding area is available. OliOli is open from 9 AM until 7 PM on weekdays, and until 9 PM on weekends. Tickets cost AED 120 for two hours, and AED 150 for two hours. Toddlers between 1-2 years pay half, and babies under 1 are free. Adults pay AED 40 for entry. Compared to the regular play spots, you may consider the uniqueness of this venture, and there is no doubt that children of all ages will enjoy it. 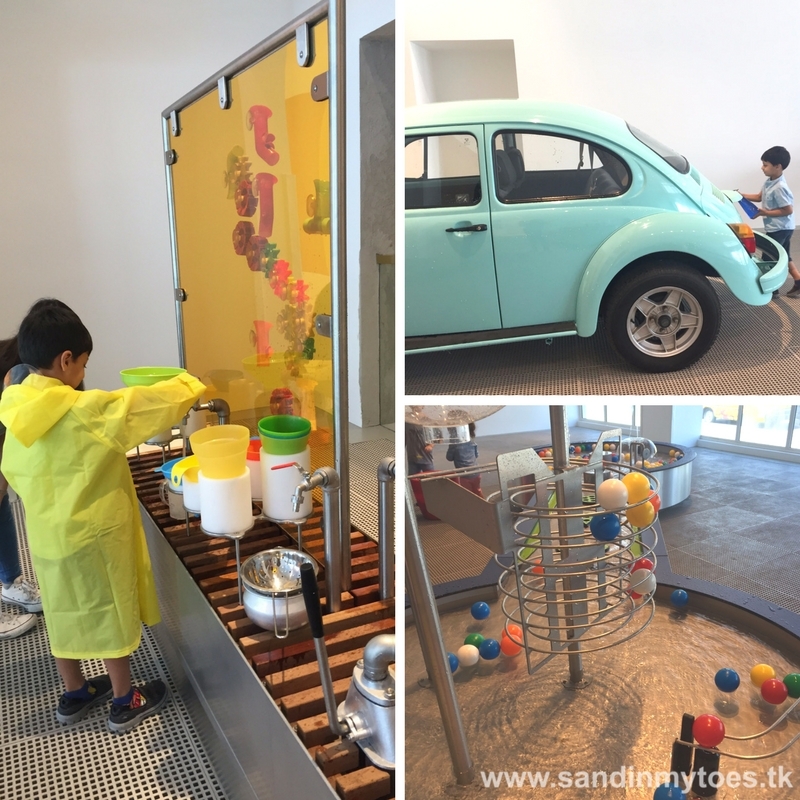 This is a special experience that you must allow your kids to discover here in the UAE. For more information, please visit the OliOli website. We were invited to preview OliOli, but all views and opinions are sincerely my own. As always a great review. Nothing less is expected from you anyway. We loved this place and my review will be up shortly!